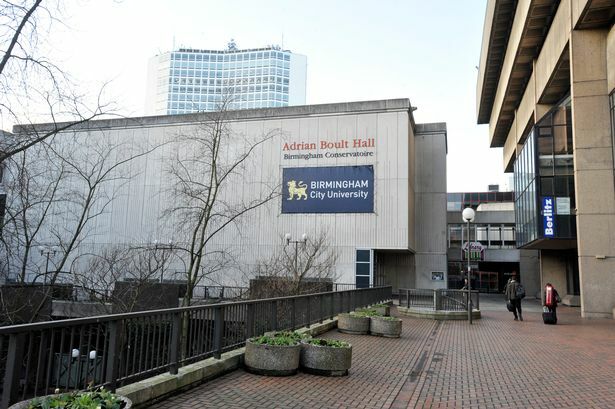 Maggie Cotton reviews Symphonies of Song, by the Birmingham Bach Choir, at the Adrian Boult Hall. Clever programming helped to create an interesting mix without the daunting expense of an accompanying orchestra for the Birmingham Bach Choir. Elgar’s original take on six Choral Songs from the Bavarian Highlands was appropriately complemented by the piano duet support – Lindy Tennent-Brown and Rachel Fuller. Colourful ‘oompah’ backgrounds complemented a more gentle lullaby and delicately falling snow, with the choir entering into the spirit of Elgar’s youthful imagination. Clear words, good balance for the most part, immaculate pitch and lovely phrasing. The Blacksmiths by Dyson would have welcomed more atmospheric orchestral rumblings however. Tremollo pianos are a poor substitute for healthy timpani under-pinning and lively percussion. Some Britten had to be included today on the centenary of his birth. His early Mazurka Elegiaca for two pianos tantalized the imagination with curiously slow, solemn dignity, played with care and imagination. Conductor Paul Spicer resorted to the two piano arrangement for Stravinsky’s Symphony of Psalms. This wonderful choral work written at the height of Stravinsky’s neoclassical period is deeply moving music which should be enhanced by Stravinsky’s unique poignancy in his sparse writing and imaginative use of orchestral colour – sorely missed in this otherwise fine performance. Drawing single lines with threads of woven sound created a dialogue between pianos, growing in fugal intensity. Wonderful use of falling phrases resolved in hair-raising fortissimos until the final controlled downward steps steeped in drama, fine control and a heart-stopping hushed Alleluia. Haunting music which remains in the mind long after the final applause.